A New Movie Recommendation will be updated here every day. Every day will be allotted a genre after the first week of MAD is completed. The archives will be updated in the MAD page accessible from the “Movies ” menu above. The recommendation will be followed by a small overview, a micro review from me on why I think you should watch it and excerpts from reviews in popular review sites. Chili Palmer is a loan shark working out of Miami, but he really doesn’t like it. He hates having to work with scum, especially Ray “Bones” Barboni, a local wiseguy who has been feuding with Chili for 12 years over a leather coat. Truth be told, Chili would much rather be making movies. So when a dry-cleaner named Leo who owes Chili a few thousand dollars fakes his own death, rips-off his insurance company and heads for L.A., Chili sees a golden opportunity. Partnering with Harry Zimm, a small-time producer most famous for his “Slime Creatures” series, and Karen Allen, a former scream-queen who desperately wants to produce, Chili plans to make a major motion picture starring two-time Academy Award-winner Michael Weir. First of all, look at the cast – John Travolta, Gene Hackman, Danny DeVito. Then of course Elmore Leonard, need I say more? For it’s intriguing and sarcastic take on how movies are made. Mostly because I loved the book! Warning: If you prefer books to movies, you should try the book first! A New Book Recommendation will be updated here every day. A short overview, a personal explanation and excerpts from popular reviews of the book will be included. 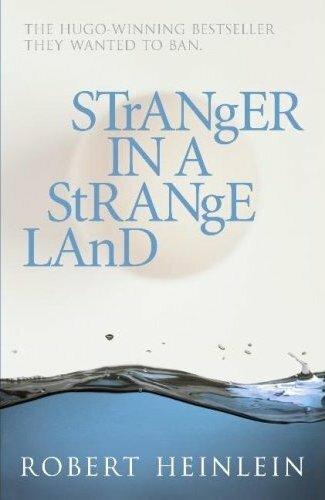 Stranger in a Strange Land is the epic saga of an earthling, Valentine Michael Smith, born and educated on Mars, who arrives on our planet with psi powers – telepathy, clairvoyance, precognition, telekinesis, teleportation, pyrolysis, and the ability to take control of the minds of others – and complete innocence regarding the mores of man. After his tutelage under a surrogate-father figure, Valentine begins his transformation into a messiah figure. His introduction into Earth society, together with his exceptional abilities, lead Valentine to become many things to many people: freak, scam artist, media commodity, searcher, free-love pioneer, neon evangelist, and martyr. Heinlein won his third Hugo award for this novel, sometimes called Heinlein’s earthly “divine comedy. The Characters – Jubal and Smith are probably the two most powerful characters you will come across in science fiction literature. I think you get it – The book is too influential to not be read! The Book’s take on sexuality… Hmm, I don’t think I will elaborate on that now. That is it for today folks! See you tomorrow! Hope you enjoy the picks! PS. For readers from inside campus, a small bonus package is provided! The movie and the book can be lent from me personally from my username at DC++, please understand that I am only lending you the copy and you are advised to delete the copy of the movie/book after usage. The details will be updated along with the posts. This design is incredible! You definitely know how to keep a reader entertained. Between your wit and your videos, I was almost moved to start my own blog (well, almost¡­HaHa!) Great job. I really enjoyed what you had to say, and more than that, how you presented it. Too cool! How to Write a Macbeth Essay and research paper writing service about this. enough folks are speaking intelligently about. I’m very happy that I came across this in my hunt for something concerning this.